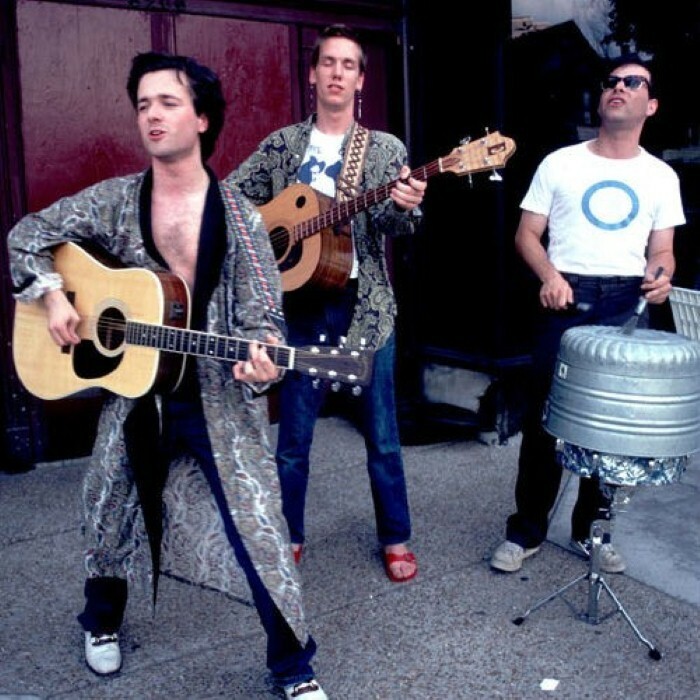 Violent Femmes were an American alternative rock band from Milwaukee, Wisconsin, initially active between 1980 and 1987 and again from 1988 to 2009. The band performed as a trio, including: singer, guitarist and songwriter Gordon Gano, bassist Brian Ritchie, and two drummers, Victor DeLorenzo (1980-1993 and 2002-2009) and Guy Hoffman (1993-2002). The Violent Femmes released eight studio albums and fifteen singles during the course of their career. The band found immediate success with the release of their self-titled debut album in early 1983. Featuring many of their well-known songs, including "Blister in the Sun", "Kiss Off", "Add It Up" and "Gone Daddy Gone", Violent Femmes became the band's biggest-selling album and was eventually certified platinum by the RIAA. Violent Femmes went on to become one of the most commercially successful rock bands of the 1980s and 1990s, selling over 9 million albums by 2005. After the release of their third album The Blind Leading the Naked (1986), the band's future was uncertain and they split up in 1987, when Gano and Ritchie went solo. However, they regrouped a year later, releasing the album 3 (1989). Since then, Violent Femmes' popularity continued to grow, especially in the United States where the songs "Nightmares" and "American Music" cracked the top five on the Modern Rock Tracks chart.